This entry was posted in musings and tagged fire. Bookmark the permalink. I love this! ( except, dont real campers use twigs? 🤔) But what’s a “braai”? One cannot simply gather wood or twigs in a national park in this country and must either bring in your own wood or buy bags of it there. 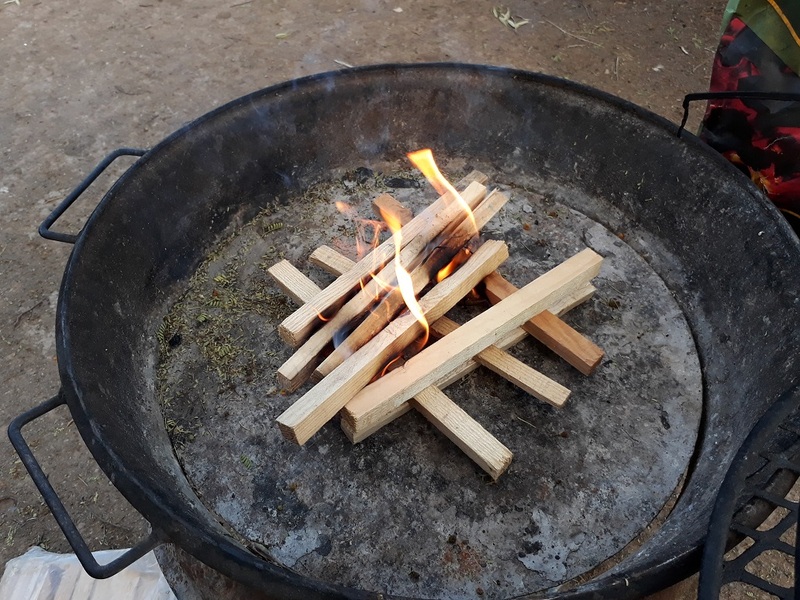 A braai (short for braaivleis = grilled meat) is akin to your barbecue: a fire built with the purpose of grilling meat over it. 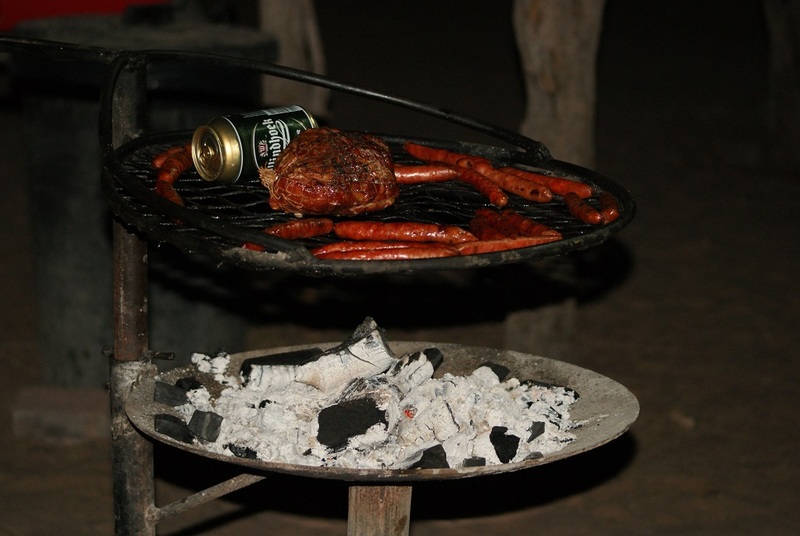 It is a very popular way of cooking outdoors, both at home and when camping. Right. I was remembering from childhood the forests where there was always some dead wood around. By now probably even that is restricted in our parks. Fire hazards are a very serious issue. 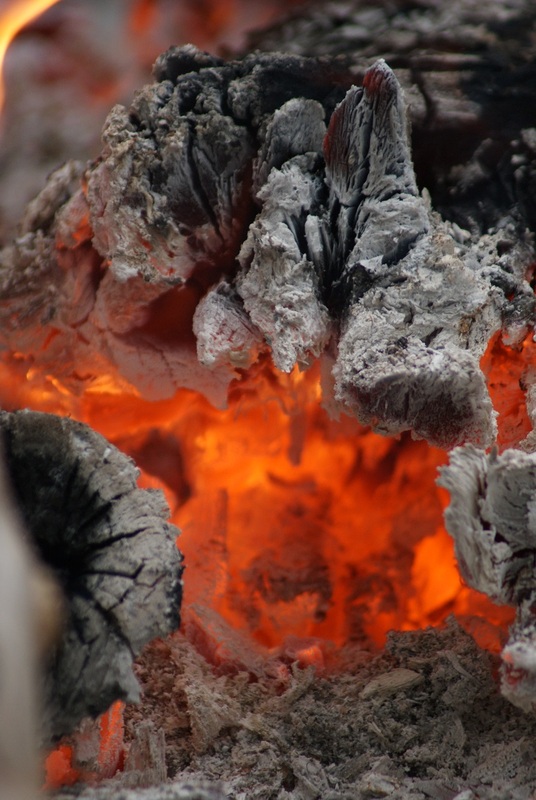 I love campfires, I find the flames relaxing and mesmerizing. Often marshmallows are roasted and as an option, one can put it with a square of chocolate sandwiched between two graham crackers, called S’mores (because you always want ‘some more.’) Have you heard of these? So tasty! S’mores are the best according to our granddaughters, who made plenty during our last camping trip together. I feel much more relaxed just for having enjoyed your photos, Anne! The flickering flames and glowing embers are relaxing to watch at night. 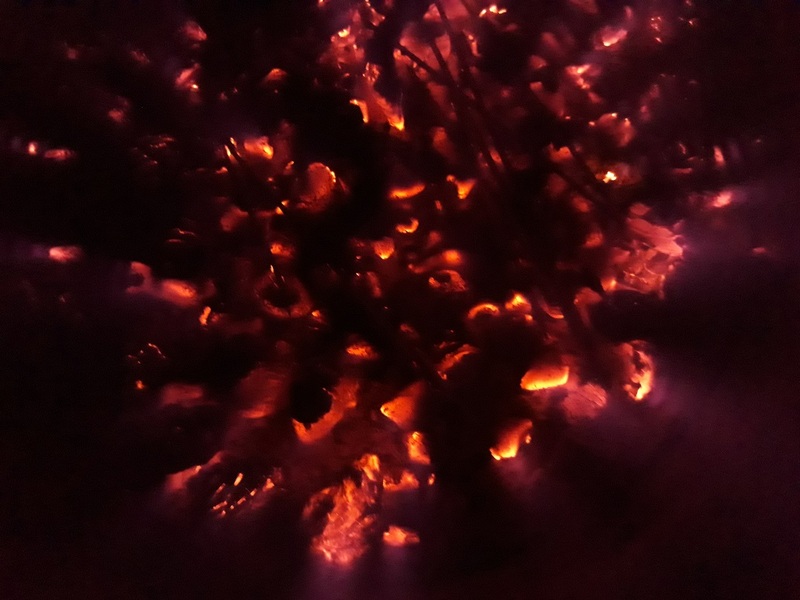 I often ‘see’ pictures in the coals. Thank you for your comment. Just the best! Camping when and where nights are warm and dry enough to truly relax around the fire, and as late as you want — that’s the life! That relaxation is the key to a memorable experience. Dis die lewe! Die laaste foto is besonders!